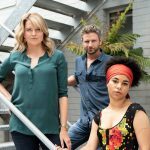 CJZ’s mystery-drama My Life is Murder starring Lucy Lawless will make its US debut on Acorn TV, North America’s largest streaming service focused on British and international programming, following its broadcast premiere on Network 10 next year. Lawless, who is well known in the US for her roles in Spartacus, Ash vs Evil Dead, Parks and Recreation, Battlestar Galactica and Xena: Warrior Princess, plays private investigator Alexa Crowe, who uncovers the truth behind the most baffling of crimes. 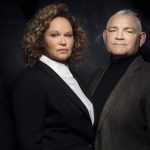 The 10-part series set in Melbourne was developed in-house at CJZ, The writing team includes Peter Gawler (Wolf Creek), Tim Pye (The Doctor Blake Mysteries), Ainslie Clouston (Playing for Keeps), Matt Ford (House Husbands), Monica Zanetti (Sisters) and Paul Bennett (House of Hancock). 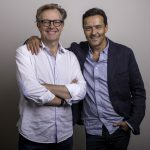 DCD Rights sold the series, which was co-funded by Screen Australia and Film Victoria, to Acorn TV, which is home to numerous Australian shows including A Place to Call Home, Mystery Road, Jack Irish and 800 Words. DCD Rights also manages worldwide sales on Lingo Pictures’ On the Ropes, which premieres on SBS on November 28, and Roadshow Rough Diamond’s Romper Stomper.